Located on the site of the former Tuanku Jaafar Golf and Country Resort, Sena Parc is the largest lifestyle residential development in the vicinity. It is close to the Seremban town centre and surrounded by a full range of amenities such as hospitals, hypermarkets, schools, police station, post office and commercial centres. 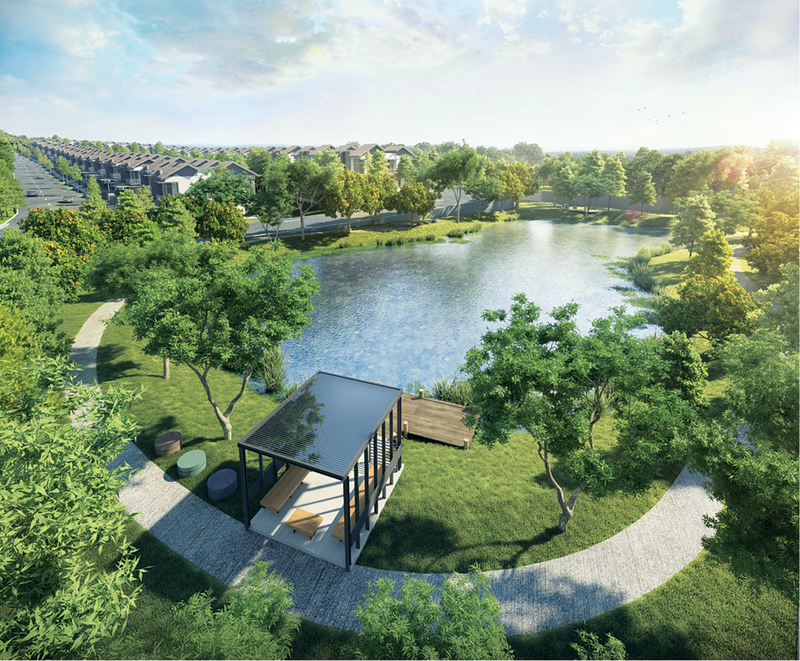 The 220-acre freehold township with an estimated GDV of RM600 million will be developed over three phases with predominately landed homes. “Sena Parc is located on the site of a former golf club, so you can imagine the scenic and undulating natural setting. 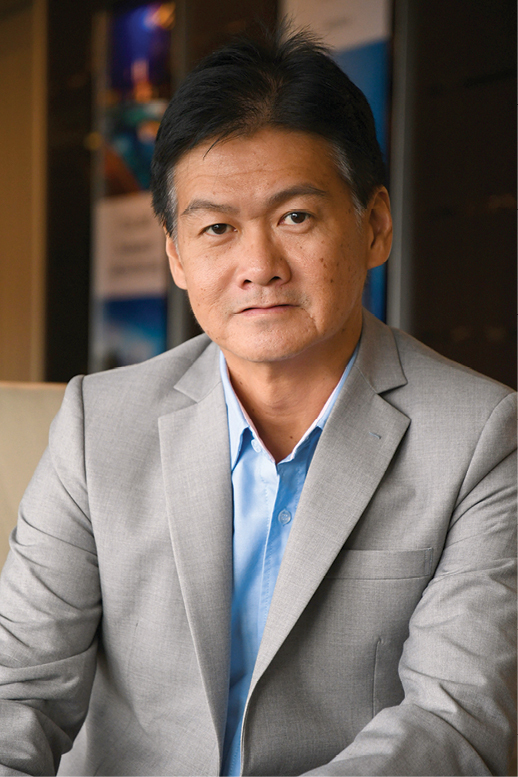 With this beautiful location, we will emphasise nature as one of the selling points and retain over 10% of the land for parks and lakes,” L&G managing director Low Gay Teck told EdgeProp.my. The first phase of Sena Parc will consist of 533 units of double-storey terraced houses and semidees spread over 58 acres. The estimated GDV for phase one is RM240 million. The indicative land sizes for the terraced houses in phase one are from 20ft x 70ft to 22ft x 75ft, and 35ft x 80ft for the semidees. The indicative selling prices start from slightly under RM500,000. “Phase 1 alone will have eight thematic parks, namely the Central Park, Wellness Park, Picnic Park, Lakeview Park, Zen Park, Linear Park, Atelier Park and Inspiration Park. They are nicely spread within the phase so that everywhere you go, you will be able to enjoy the parks with your family and neighbours,” said Low. “This will not be a gated community as the houses come with individual land titles but it is guarded with patrol services. Residents can apply to fence up the area in future,” he added. Phase 1 is slated for completion in 2020 while the entire project will take about six years to be completed. The show gallery and show units for phase 1 opened on Nov 11 while the official launch will be in December or January, offered Low. On the next phases, Low said: “We are still finalising the plan for phase 2 and 3, but one thing is sure is — we will stick to the green and sustainable concept, emphasising comfortable and resort lifestyle living. We wish to introduce a new living concept to the locals”. Sena Parc is connected by the North-South Expressway and LEKAS Highway. The nearest KTM stations are Sungai Gadut station, which is 5km away from the township while the Senawang and Seremban KTM stations are 6km and 11km away, respectively. “We are only five to 10 minutes away from the LEKAS Highway’s Senawang toll exit, and you can go everywhere conveniently via the highway,” Low noted. Sena Parc has been open for registration of interest since the end of last year and it has received thousands of registrants so far, said Low. “They are mostly locals from Seremban but there are some from the Klang Valley. With the improved connectivity, people in the city do not mind moving further away to the suburbs. I personally tested out how long it takes from our office (in Bandar Sri Damansara) to the project site. It took about 45 to 50 minutes during off-peak hours, which I think is widely acceptable by the market,” Low shared. The developer is also working on the launch of the second phase of Foresta at Bandar Sri Damansara called Seresta. “We will announce the details in due course. We plan to roll out Seresta after Chinese New Year next year,” he revealed. This story first appeared in EdgeProp.my pullout on Nov 17, 2017. Download EdgeProp.my pullout here for free.